Michael Keaton soars above a star-studded cast in Birdman (or The Unexpected Virtue of Ignorance), the newest film from Mexican director Alejandro González Iñárritu. In one of the film’s touches of art imitating life, Keaton plays Riggan Thomson, a washed up actor of a popular superhero movie franchise attempting to revive his career through the treacherous world of New York theatre. His turbulent production of the Raymond Carver story “What We Talk About When We Talk About Love” makes up the majority of the movie’s narrative focus, although there are plenty of pit stops and tangents along the way. Joining Riggan on stage are his girlfriend Laura, played by Andrea Riseborough, and Broadway newcomer Lesley, played by Naomi Watts. When one of the leads is involved in a tragic rigging accident, he is replaced by cocky method actor Mike Shiner, who is portrayed hilariously with haughty intensity by Edward Norton. Off the stage, Riggan is bolstered by his neglected daughter-turned-assistant, played by Emma Stone, and fearlessly supported by his lawyer and best friend Jake, performed with sputtering conviction by comedian Zach Galifianakis. Iñárritu is no stranger to this type of stream of consciousness filmmaking but here he is graced by the presence of the visionary cinematographer Emmanuel Lubezki, whose dazzling camerawork gives the film an unmatched level of liquidity and vibrancy. There’s an ethereal quality to this filmmaking, as if the camera is an omniscient being floating around the theater in a search for a greater truth. 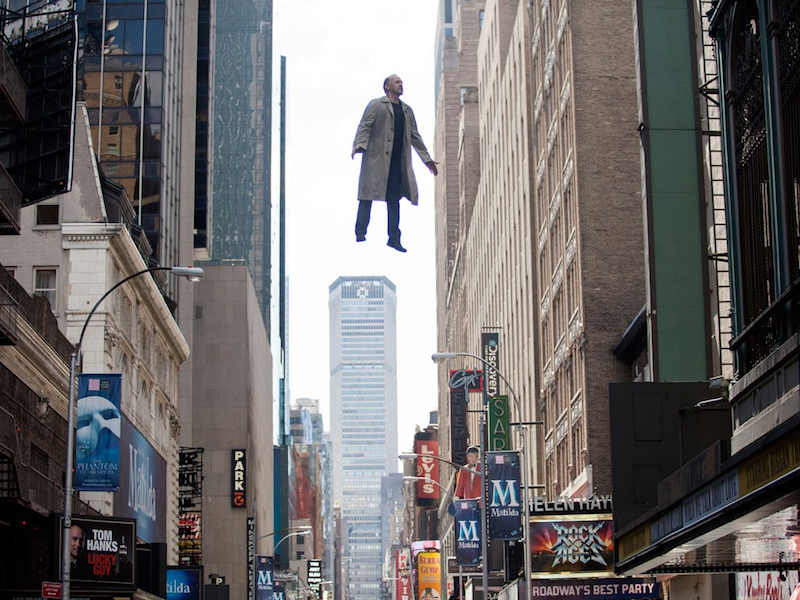 Many films have been credited as being “dreamlike” but thanks to Lubezki’s sublime technique, Birdman actually has the emotional urgency and attentive detail of a waking fantasy. The lingering feel of the film is captured most prominently by the film’s extended takes, which are woven together to give the impression that it has all been filmed in (almost) one unbroken shot. While this gimmick has been attempted most notably in Alfred Hitchcock’s Rope, the concept here is used not to show off but rather to give the characters’ interactions an additional level of propulsive resonance. It has the dramatic effect of a great bottle episode in a television series, in which characters are confined to one location and often “bounce off” one another as a result. In addition, the free jazz-based musical score also helps provide a demanding rhythm to the storytelling. While Birdman is technically courageous and consistently well acted, the story arc here is not nearly ambitious as it should have and could have been. Keaton fully commits himself to this role but Riggan’s tale is one that ultimately left me feeling a combination of ambivalence and puzzlement. It also doesn’t help that the rest of the characters’ story lines don’t add up to much in the end either. Despite this, the screenplay does pack in enough existential musing and witty wordplay to make it work best as a dark comedy. Iñárritu’s inventive flight of fancy is generally a surface affair but when the surface looks this good, it sure is difficult to look away.